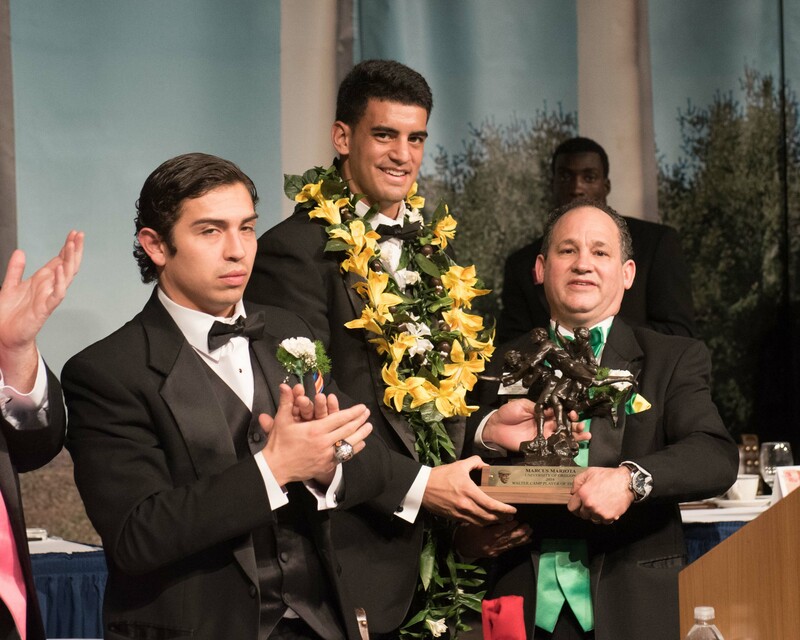 The NFL Draft moved to Chicago for the first time in over 60 years and it was a night of many firsts as Jameis Winston (2013 Walter Camp POY) and Marcus Mariota (2014 Walter Camp POY) were selected with the first two picks in the NFL Draft. The success continued as the first eight names called by Commissioner Roger Goodell were all WCFF All-Americans. A record 17 WCFF All-Americans were called in the First round of the draft. In all, 43 Walter Camp All-Americans had their name called during the THREE day draft in Chicago. The entire list of draftees and free agent signings are listed in the following link below. The Walter Camp Football Foundation will honor its 126th All-American team, on Saturday, January 16, 2016. For more information on the Walter Camp Weekend, please contact: publicity@waltercamp.org or call 203-288-CAMP (2267).